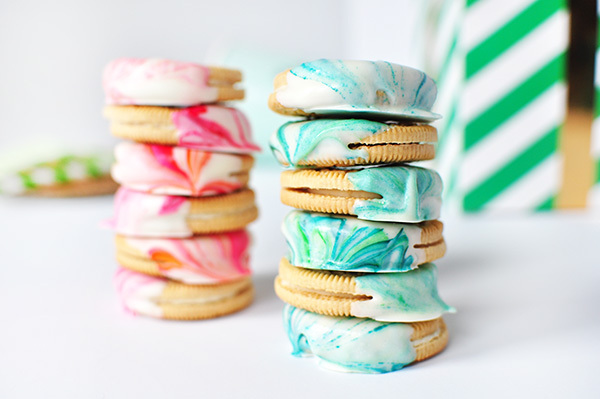 These Beautiful Marble-Dipped Oreos Look As Amazing As They Taste! 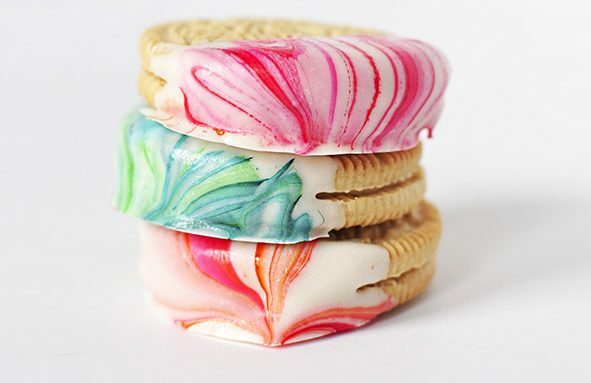 Marbling is trending all over but I have yet to see it done on food! You may have seen marbled vases with nail polish or clay marbling and of course the all-popular shaving cream technique. They all are so easy to execute and look very beautiful. To find out how you would apply this technique to food, check out the full post at delineateyourdwelling. What else are you thinking about dipping?